A Whole Lot of Watermelon | Who Are You Calling Crafty? First I want to say I am sorry I didn’t post yesterday, I had the plague. Making the most trying thing I did yesterday was get up and switch the DVDs for the kids. So the thought of even typing anything was not a priority. The plague has officially hit everyone (expect Jeff) in the house so I am pretty sure it has finished making the rounds. Well it is my kids favorite time of year WATERMELON SEASON! On Saturday we went to the library driving past the little Farmer’s Stand where the watermelons were piled high. On the way home we had to stop to get a watermelon and in Booga’s case peaches (one didn’t even make it to the car). They had corn (oh was it sweet just like candy), green beans, tomatoes (oh they are so good) and cucumbers (yes we got them all). The farmer is an older gentleman who sets up shop on the side of the road about 2 miles from our house. My kids go nuts when they see him because they know we will stop and get whatever it is he is selling. I love the fact that it is so fresh, most of the time he picked it that morning to sell it. We have yet to have anything bad from him (it has been close to 3 years we have been getting produce from him). 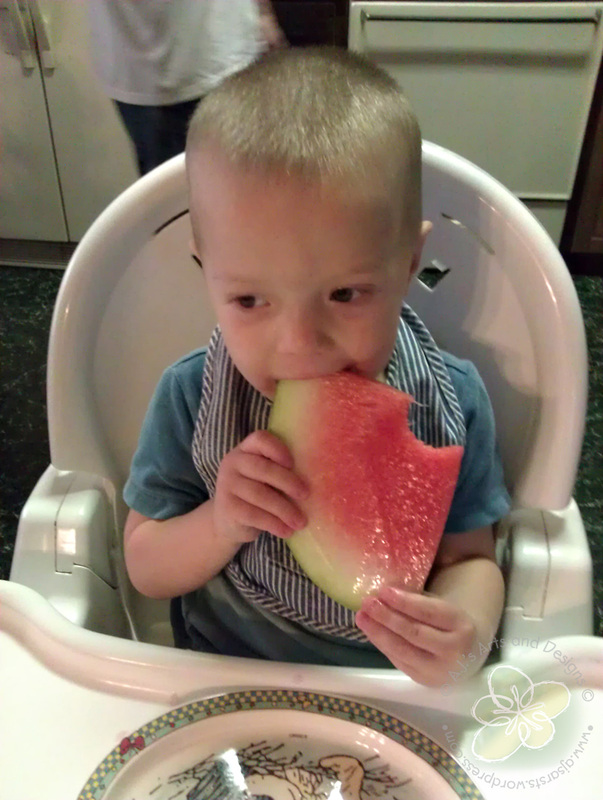 Last year we average a watermelon a week (I am not joking – watermelon in my house is eaten with every meal until it is finished). 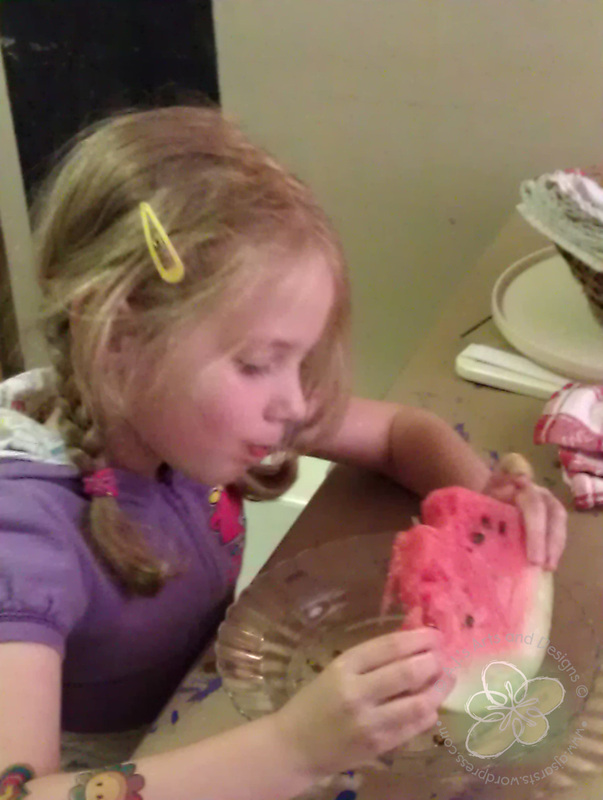 This year I hope to make watermelon shaved ice or smoothies if the Booga will let us actually freeze some. I really do want to create shaved ice because that in the summer heat would be fantastic! Since summer vacation has begun I must be going projects to make! I hope everyone has a happy, healthy week full of watermelon and sunshine!